“Quality of life” is hard to quantify, but we know it when we see it. Boulder scores pretty well on the quality of life scale, but we face future challenges that should give us pause. We are living on borrowed time. We are losing our wisdom and our youth (our elderly are relocating and our young people can’t gain a foothold here because Boulder is becoming too expensive). Our work force is moving further east, and is likely to find their next job out there in order to avoid an increasingly expensive and time-consuming commute into Boulder. What’s next? To reduce our regional carbon footprint, we need to be able to work, shop and play closer to where we sleep. Or we need a regional transportation system that enables us to do so. Our economy and quality of life are currently dependent on cheap energy. However, people in China and India want what we enjoy, too. Competition for available liquid carbon fuel will raise its price, making movement among various destinations more expensive for all of us. When we can no longer afford to drive everywhere we need to go, our quality of life will be diminished. The Boulder Valley Comprehensive Plan (BVCP) identifies the need to reconfigure sprawl by adding mixed-use neighborhood and subcommunity centers along transit corridors and at transit nodes, but then yields to political expediency by embracing “areas of stability” and “areas of change”‒concepts that leave most of Boulder’s residential neighborhoods off the table. It is high time we acknowledged that much of the residential development added to Boulder since the 1950s is neither walkable nor primarily self-sufficient, and has only limited, inconvenient access to transit. The BVCP’s current geographical focus needs to be expanded to include the North Metro region’s commuter-shed. We need to make local planning decisions in a regional context and we must create a forum where regional stakeholders can meet regularly to better anticipate and coordinate those decisions. Our human settlement patterns must be adapted to nurture greater social and economic resiliency, particularly with respect to workforce housing and local agricultural and manufacturing capability. Held captive by past zoning decisions and philosophies, we may be squandering an important opportunity to stretch our vision into the future and embrace positive change. Boulder needs a resilient economy that can meet current and future challenges. Land use policies that have made Boulder a special place may no longer be effective in addressing climate change, or providing work force housing and good jobs. 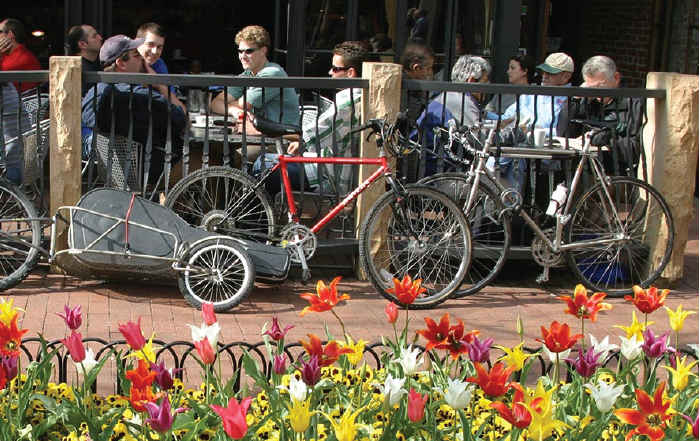 Too many of Boulder’s employees – more than 60,000 of them – commute to Boulder every work day. The vehicle emissions and carbon footprints of in-commuters diminish Boulder’s air quality. The civic contributions of these Boulder ex-patriots add value elsewhere, but not here. Let’s build housing in Boulder for our workers, reconfigure our sprawling neighborhoods, grow more of our own food, and enhance our regional transportation options. By doing so, we will increase our economic resiliency, improve our environmental sustainability, and enhance our quality of life.